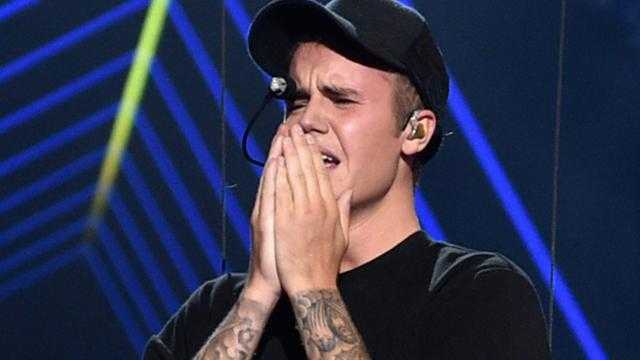 Justin Bieber, the Canadian teenage sensation singer, was seen shedding tears unabashedly after his spectacular performance at the MTV Video Music Awards 2015. The ‘Where are you now’ singer was last seen performing in any awards function way back in May 2013 at the Billboards Music Awards. This public performance came after last weekend’s Billboard Hot 100 enactment and just before the expected release of his new album in November. His VMA 2015 act seemed, however, to hit all the right chords and his fans were ecstatic that their idol has not lost any of his sheen when it came to creating a spectacular stage performance. There were other highs in the VMA program including a joint act of Nicki Minaj and Taylor Swift with an epic recreation of ‘Bad Blood’ performance. There were some lows too, including the one in which Nicki Minaj missed Miley Cyrus in her acceptance speech. But, of course, what left the crowd completely stunned was Justin Bieber’s inexplicable end-of-show tearful breakdown. The ‘Never say never’ singer’s deliverance of ‘Where are you now’, his summer hit was spot-on. 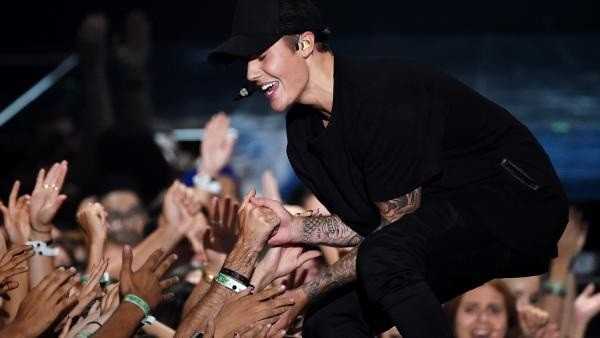 His first-ever public performance of his latest single ‘What do you mean’, which was released on August 28, showed off Bieber’s dance moves and falsettos gladdening the hearts of his innumerable fans. The drama ended with pulsating laser lights and had Bieber floating upwards towards the ceiling, leaving his fans totally in raptures. After his ‘flying’ act and when he landed on firm ground, Justin Bieber, suddenly doubled over and started sobbing into his hands leaving the crowd spell-bound. While all this drama was happening around Bieber’s VMA performance, many in the crowd were wondering where Selena Gomez, his ex-girlfriend, was and how was she reacting to the situation. But it seemed that the ‘Heart wants what it wants’ singer had already left the VMA 2015 venue along with Taylor Swift and the rest of the ‘Bad Blood’ team even before Bieber’s performance had begun. In a radio interview with Elvis Duran earlier this month, Justin Bieber had openly admitted, ‘Trusting people is hard, especially for me. I’ve trusted people who I probably shouldn’t have trusted before and they’ve hurt my heart’. He added that he was a very sensitive person and some people exploited this weakness of his.